RadDataLayout's Customize dialog enables a complete transformation of the control`s layout at run time. The customize dialog can be opened from the default context menu of RadDataLayout. The Items tab contain the available elements which can be added to the control in order to change its layout. The Structure tab displays all items as part of the control`s element tree, for complex layout, this tab will provide easy navigation. 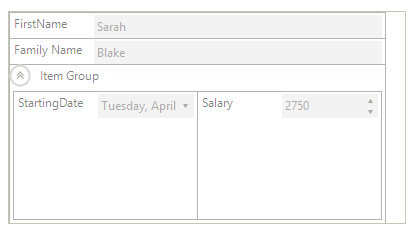 The DragOverlay is a separate control which is shown when the customize dialog is opened. 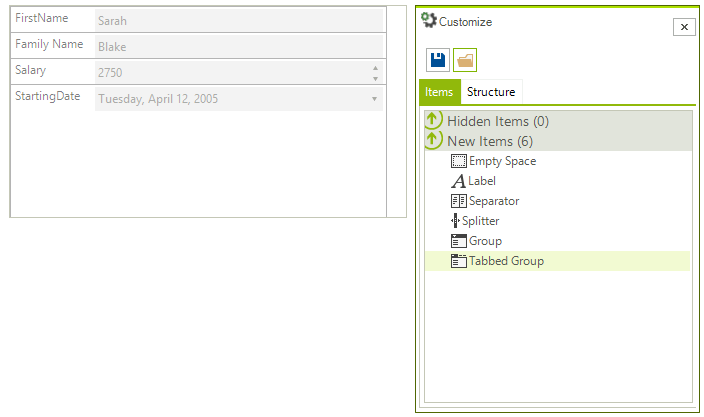 It contains snapshot of the form’s layout and is used for items arranging. There is a DragOvelay property which is allowing you to access this control. It allows you to access the drag and drop service as well.